The first step in Quality Management System implementation project or QMS transition is to carry out a comparison between your current QMS and the requirements of ISO 9001 standard. This is called Gap Analysis. Identifying people (one or more) who will conduct the gap analysis. The people selected should preferably have some experience in quality management or conducting audit. Assistance of a consultant should be considered. Creating a Gap Analysis Checklist. 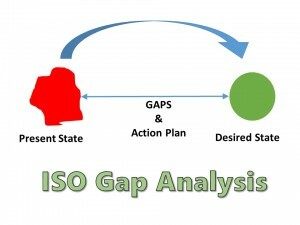 Making a report on the basis of the conducted gap analysis and utilizing the results. This is the most important tool of Gap Analysis. Gap Analysis Checklist is a list of requirements written in the form of questions. The auditor conducting the gap analysis uses this list of questions to compare the existing QMS with the requirements stated in the ISO 9001 standard. Where the QMS does not meet the stated requirements, it is known as a “Gap”. This checklist helps the auditor in the audit process, providing him with the recommendations as to which documents he should look for. It also acts as a place of documenting the requirements that were met and that weren’t. Eurotech, an IRCA approved training partner (ATP), is conducting ISO 9001:2015 trainings in your city. Please contact trg@eurotechworld.net for getting more information about these trainings. You can also call us at +91 9316744482 or 0172 - 4191128.